Just before 2pm on Saturday, the sun burst through the clouds which had gathered over Dublin all morning, and an enormous cheer went up from the Rally for Life. Thousands of pro-life people, of all ages, set off through Dublin ’s busy city centre in a colourful and lively pro-life march which saw another rise in numbers rallying against abortion. “We had face-painting and balloons for the kids, music and banners and a really enthusiastic crowd coming together to protect human life, ” said Eoghan of the Rally’s organizing committee. “It was superb to see just how many people came out to support the right-to-life and to Keep Ireland Abortion-free. ” Saturday’s event was an All-Ireland Rally, organised by pro-life groups both North and South, including Youth Defence, the Life Institute and Precious Life. 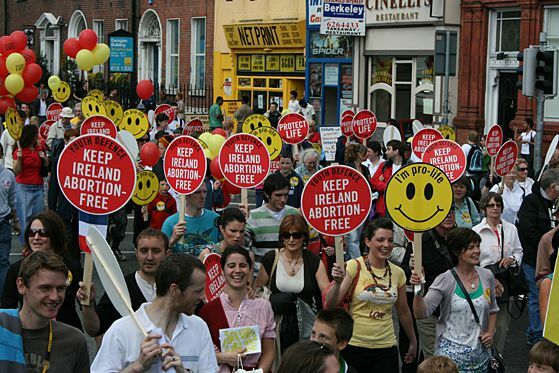 Keeping Ireland abortion-free was the theme for the day, but the Rally organizers emphasized that threats to the right-to-life were now coming in myriad forms right across Ireland. “We’re dealing with an attempt by the Department of Health in the north to introduce abortion on broad grounds by attempting to introduce new so-called abortion guidelines, ” said Bernie Smyth of Precious Life, who organised busses to the Rally in Dublin. At the rally’s conclusion at Dáil Éireann, the huge crowd cheered speakers, from Ireland, Scotland and the US, who urged them to be active on pro-life issues. Niamh U í Bhriain of the Life Institute told the crowd that they were sending an important message to politicians. “We will not falter and we will not fail, not while our children’s lives depend on it. We will stand together, work together, and pray together and we will keep Ireland abortion-free, ” she said to sustained applause. 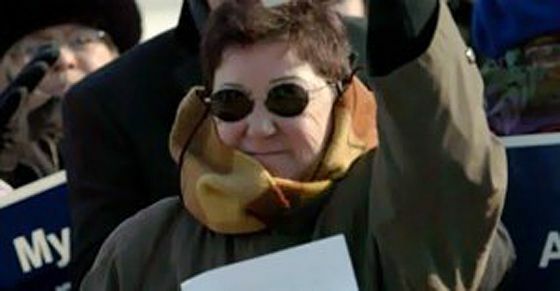 Norma McCorvey of Dallas, Texas was the plaintiff in the Roe V Wade decision of the US Supreme Court, which legalized abortion in all 50 states. In 1995 she became a pro-life Christian, and went on the record to say that, in fact, she never had an abortion. She is now seeking to overturn her case that made abortion legal. Her testimony reveals the lengths the pro-abortion lobby will go to achieve their aims. Her life changed forever one day when she noticed a foetal development poster. The humanity of the unborn child dawned upon her and she then realised the true horror of the industry that she had been involved in. She said, “I felt crushed under the truth of this realization. I had to face up to the awful reality. Abortion wasn ’t about ‘products of conception’. It was about children being killed in their mothers’ wombs. All those years I was wrong. Signing that affidavit, I was wrong. Working in an abortion clinic, I was wrong. No more of this first trimester, second trimester, third trimester stuff. Abortion-at any point-was wrong. It was so clear. Painfully clear. ” Ever since, Norma has worked tirelessly with the pro-life group Operation Rescue in the US and has founded her own organisation; Roe No More.